Skip hire firms celebrated victory last week after the Treasury told campaigners that the re-issued guidance would result in “landfill sites reversing their fee increases”. 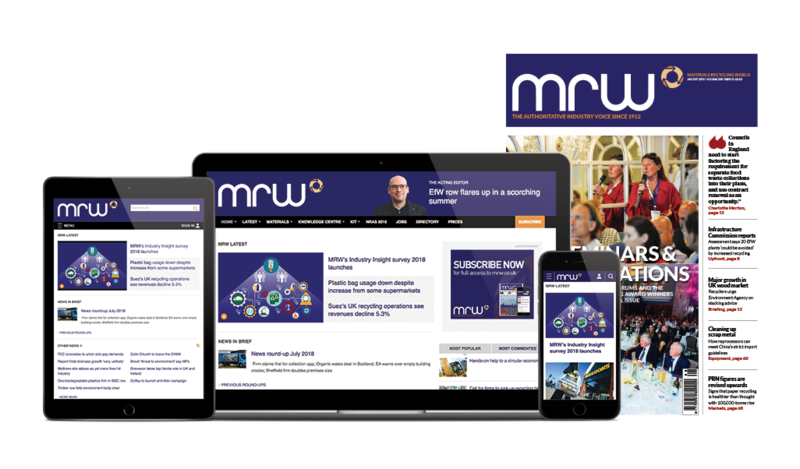 But – as reported by MRW – firms disposing of certain types of waste will still pay a far higher tax rate as a result of the guidance, and fears remain that businesses will go under. Now a consortium of small and mid-sized waste and skip firms from across the country will meet officials from Defra and Her Majesty’s Revenue and Customs (HMRC). Consortium member Mark Bensted, who is managing director of Powerday, said the firms had spoken to operators of materials recovery facilities, waste transfer stations and skips across the country. He said: “We are disappointed that the clarification did not address two key issues. “Firstly, trommel fines, which are clean and inert, are still being charged at the top rate of landfill tax and, secondly, the complete lack of consultation with the industry about the changes. “We are asking that Government re-consider the status of clean, inert trommell fines and that they be brought inside the definition of materials described within the Landfill Tax (Qualifying Material) Order 2011. It added that the Treasury had worked closely with the Environmental Services Association (ESA) “to ensure this message is spread as widely and as quickly as possible” to landfill site operators. But industry experts expressed caution. Phil Conran, director at 360 Environmental, said: “This will reverse the construction and demolition (C&D) waste increase but it would seem to state quite clearly that commercial and household waste operators will have to pay the higher rate on fines from their waste. Skip operators had threatened to block the streets of London over the Jubilee weekend after the Government announced tax clarifications which have seen the tax cost of disposing of certain materials increase by a staggering 2,460% overnight. Skip bosses have declared they are “delighted” with proposed clarifications to the controversial landfill tax changes. The chief executive of the Chartered Institution of Wastes Management (CIWM) has written to the Government expressing his concern over the controversial landfill tax hike. A Labour MP has invited senior Government figures including prime minister David Cameron to emergency talks in an attempt to thrash out a deal over the controversial landfill tax hikes.